Modern life has created a metabolic ‘energy crisis’. Many people have dysfunctional energy metabolism resulting in persistent fatigue, high stress levels, weight gain and long-term metabolic problems. On any given day, one in five of us feels unusually fatigued, while one in 10 has persistent low energy, sufficient to undermine quality of life and day-to-day functioning. Adaptation to stress and energy metabolism can be impaired by disrupted circulation and delivery of oxygen, nutrients, co-factors and hormones. Tiredness and fatigue can be caused by any number of things related to our lifestyles, such as a lack of physical activity, unhealthy food choices, dehydration, crash dieting or stress and anxiety. 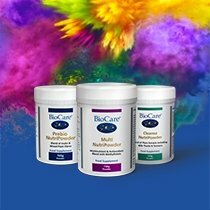 At BioCare®, we have created an innovative range of supplements that has been designed to support energy from everyday formulas to more potent and intensive options. 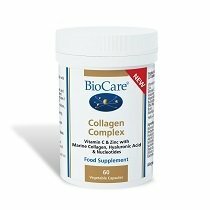 Our range of energy supplements includes vitamin B complex as well as a selection of unique complexes featuring important nutrients such as magnesium, iron, iodine, amino acids and more. 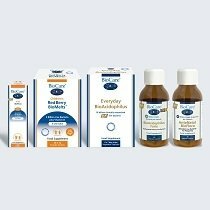 BioCare’s AD Intensive is a high strength solution in handy sachets which includes Vitamin C, an antioxidant which supports the protection of cells from oxidative stress and Vitamins B3, B5 and magnesium which support energy production and contribute to the reduction of tiredness and fatigue. The addition of Chromium supports normal blood glucose levels. Conditions such as anaemia or an underactive thyroid can be common causes of low energy levels and tiredness. Energy supplements can help achieve the optimal dosage of the nutrients your body might be lacking, in order to help fight against these issues . BioCare’s TH Intensive combines iodine and selenium for their role in supporting normal thyroid function. It also contains high potency amino acids and Vitamins C, B3 and B1 to support energy production and contribute to the reduction of tiredness and fatigue. Browse our extensive range of energy supplements below to learn more about the benefits of each product, and if you require further assistance choosing the best ones for you, don’t hesitate to get in touch with our helpful team of trained nutritionists.